I made homemade lip balm for the first time last week. The ability to make your own beauty essentials, even if you're reliant on sourcing the ingredients, is a powerful form of self-sufficiency. And the best part is you control exactly what goes into your products, and thus your body. If you're the type of person who is working toward consuming more unprocessed foods and natural products, making homemade beauty products is a no-brainer. And it's nowhere as intimidating as it seems. you can use the leftover ingredients to craft other beauty products like whipped body butter, lotion bars, beard balm, etc. Some store brands include ingredients that coat the skin without letting it breathe, while others contain ingredients that feel good on contact but dry out your skin, which makes it necessary to keep applying their product. Not cool! Then there's the artificial dyes and synthetic fragrances. Have I convinced you to start making it at home yet? Sidenote: I have to mention that I'm fighting an extreme urge to refer to lip balm as "Chapstick" throughout this post. That's what I grew up calling it, but I now realize that "Chapstick" is a brand name, so it's like calling tissues "Kleenex". What Do You Need to Make Lip Balm? Well, first things first, you need something to put it in. There are lots of places to source containers. 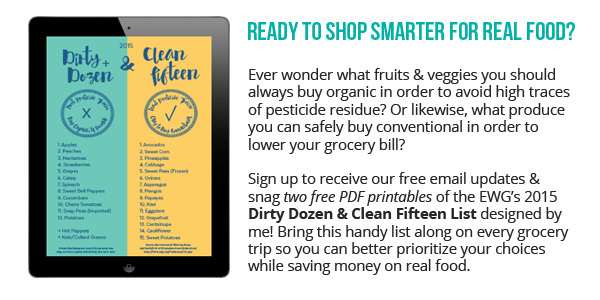 Keep an eye out at your local health food and craft stores. If you're thrifty, you might even have some old lip balm containers or mint tins laying around. These will work just fine. If you're making a bunch at once to give out as party souvenirs (they make great birthday, wedding or baby shower gifts), it's probably less expensive to buy them online in bulk. I purchased a 50-pack of clear lip balm tubes on Amazon, along with some other supplies for my essential oil goodie bags. This will be the main ingredient in your lip balm. My favorite is coconut oil, but you can also use olive oil, sweet almond oil, jojoba oil, grapeseed oil, etc. 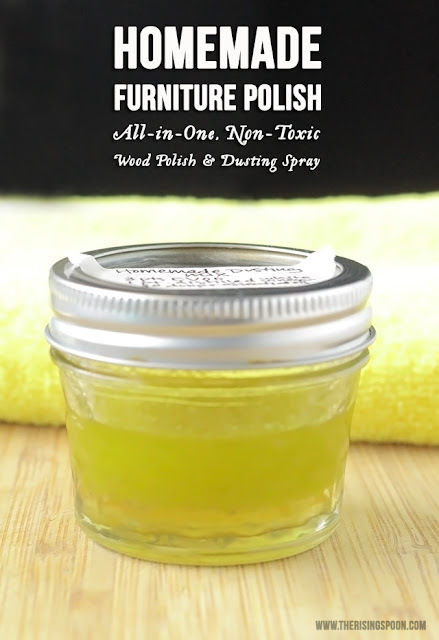 Keep in mind that certain oils have a stronger scent and will affect the final product's smell. It's not as important if you're adding essential oils, but if you're making a plain lip balm, it's something to keep in mind. This helps solidify the lip balm and hold all the ingredients together. 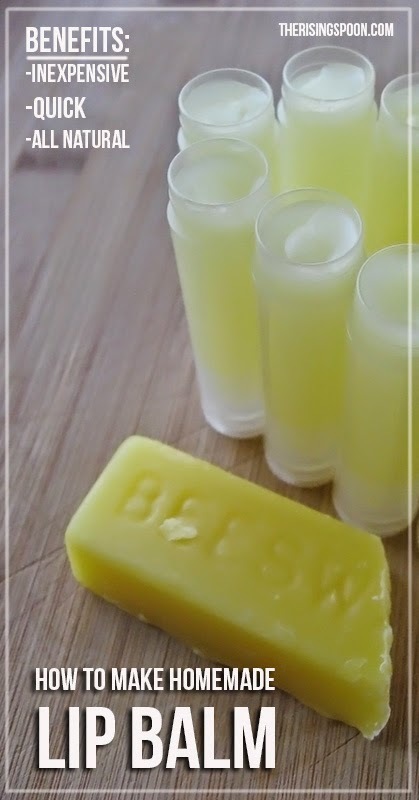 My recipe has less beeswax in it because I wanted a softer, more glossy lip balm, but next time around I will add in more beeswax for a stiffer texture. 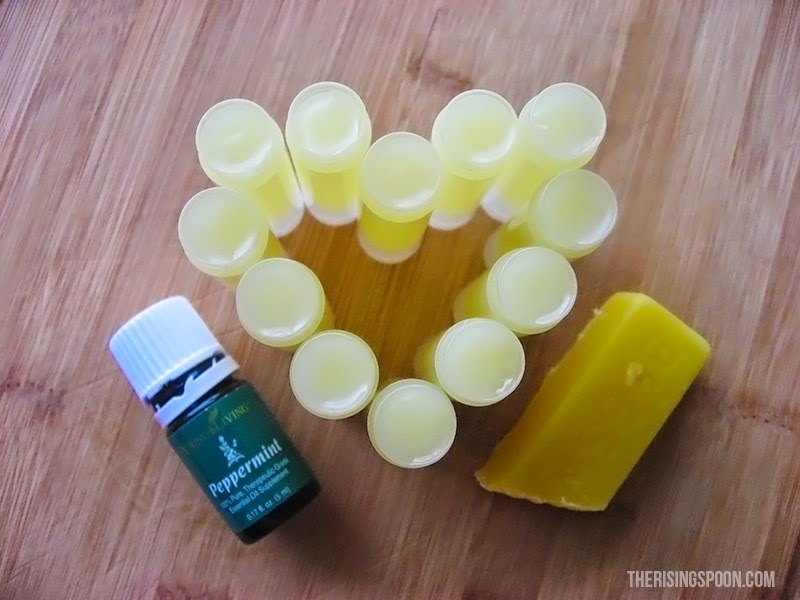 If you know right off the bat that you want a firmer lip balm, increase the amount of beeswax when you make this recipe. The beeswax also acts as a natural emollient (moisturizer) that will still let your skin breathe and contains natural vitamin A.
Beeswax is fairly easy to find at local farmer's markets (sold by beekeepers) and health food stores. Since I was buying my lip balm tubes online already, I went ahead and got these 1 oz beeswax bars and am very happy with their smell and quality. You can add either of these ingredients in smaller amounts to make your lip balm extra moisturizing. Cocoa butter has a chocolaty scent so you have to be wary what scents you're mixing with it. If you use essential oils in DIY recipes (especially lip balm) please make sure to carefully read the label first. If it has a warning that says "not for topical use" or "for aromatherapy only" DO NOT put it on your skin! Better safe than sorry. Just leave them out and use coconut oil and cocoa butter, which both have naturally pleasant scents. If you'd like to know more about where I purchase wholesale therapeutic grade essential oils, check out my essential oils page. This helps preserve the lip balm and extend the shelf life. It's also good for your skin. I just buy a bottle of liquid vitamin e capsules, break a few open and pour it in at the end. If you're allergic to soy or avoiding it (like I am), look for a vitamin e capsules made with GMO-Free certified oils. Out of the 15-ish different options I had in my local health food store, only two were GMO & Soy-Free. 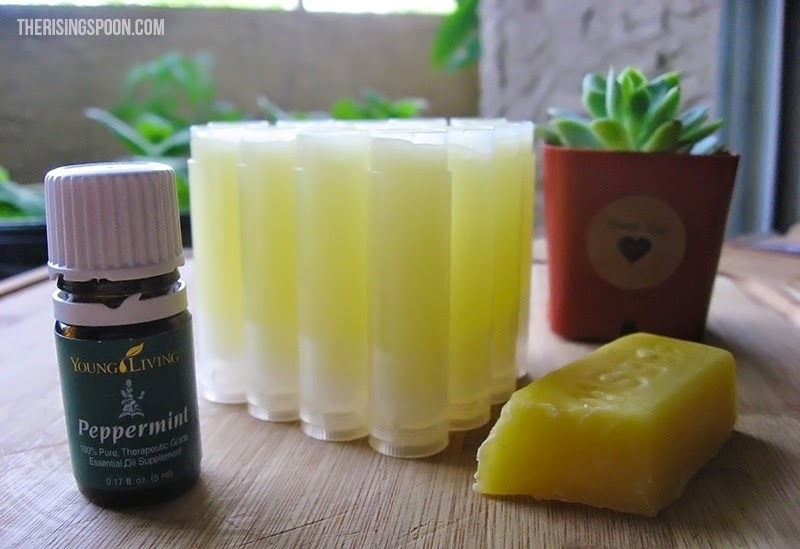 I didn't add honey this time around, but it's a popular component in lip balm because it's nourishing and softening. It also smells (and tastes) wonderful. I'm definitely throwing in a teaspoon or so next time I whip up a batch of lip balms. 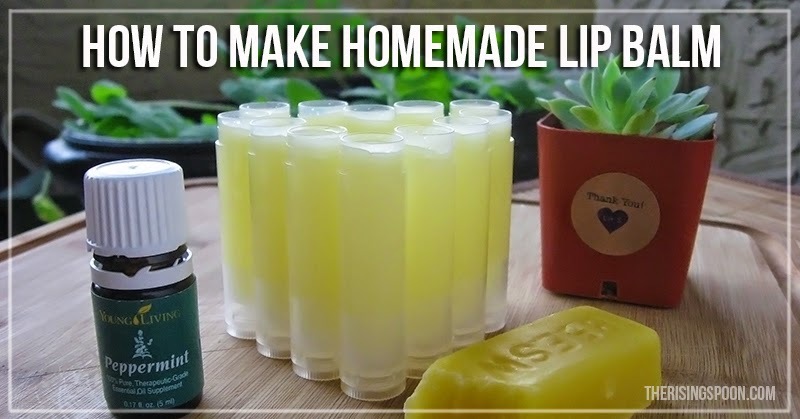 Once you have the two most important components--a moisturizer (oil) and binder (like beeswax)--you can go ahead and craft a basic, no-frills lip balm. From there, you can add any number of things to make your lip balm more moisturizing, smell good, or even give it a tint. Here's the recipe I made the other day. In fact, I'm currently wearing it. Peppermint is a good essential oil for using in homemade beauty products year-round. It's fresh, uplifting, and can even help improve focus when inhaled. Update: If you're looking for a firmer lip balm (this one is a bit glossy), then try my new favorite recipe how to make lip balm with olive oil! Homemade lip balm made with coconut oil, beeswax, cocoa butter, vitamin E oil and 100% pure therapeutic-grade peppermint essential oil. This is a quick, inexpensive DIY project you can make at home in about 15 minutes, and they make great gifts for guys and gals! First, create a makeshift double boiler by filling a small saucepan 1/2 way with water and turn the heat to low or medium-low. Once the water is hot (barely a simmer), we'll either sit a larger sized bowl on top of the saucepan to melt the lip balm ingredients in, or sit a large ceramic cup or glass measuring cup directly into the water. If you're putting it directly in the water, take care to use an oven mitt when handling it. Using a grater, shred 2 tablespoons worth of beeswax. Place the beeswax into whatever container you're going to use to melt the mixture (measuring cup, mixing bowl, etc. ), then measure in the coconut oil and either cocoa butter or shea butter. Place the container either over or directly in the water on low heat and wait for it to gently melt. Once it's completely melted (no beeswax solids remaining), turn off the heat and set the pan aside. 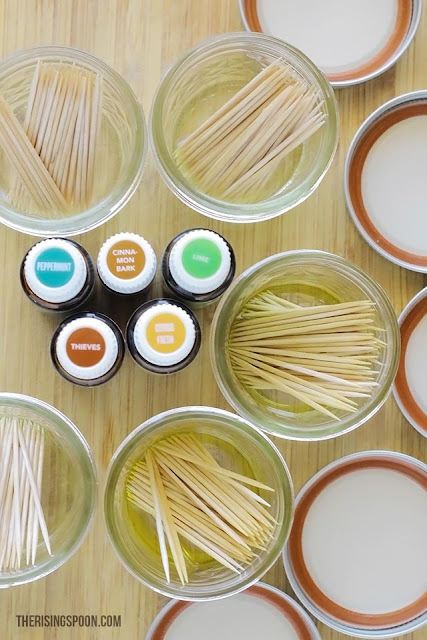 Quickly add the vitamin E oil and essential oil (a little goes a long way), then give it one last stir. Using the transfer pipette or another form of dropper, carefully fill all the empty lip balm tubes with the mixture. 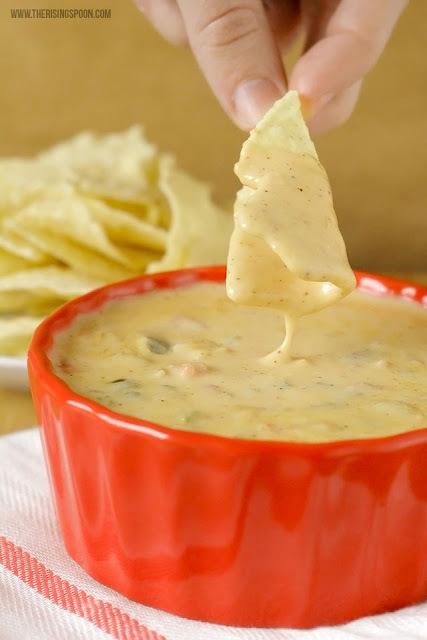 If the mixture starts solidifying in the container, simply reheat it on low until it returns to liquid. For a firmer lip balm, trying adding another tablespoon of beeswax. If you're not a big fan of peppermint, give lavender essential oil a try. Citrus essential oils are popular for lip balms (lemon, orange, grapefruit, etc. ); however, they increase photosensitivity (they make it easier for your skin to burn in the sun), so be cautious of using them in your beauty products during the summer or if you live in a sunny area. Do you love lip balm? What's your favorite scent? Ever made it at home before? As I mentioned above, it' super important to use pure (not adulterated) essential oils that are high quality if you want the therapeutic benefits. Here at The Rising Spoon, I (Elaina) only use Young Living essential oils, because I can trace the process from seed to seal and visit the company's farms myself. Transparency & purity are two of the most important things to me! Because of this (and the fact that I and my family love Young Living oils so much), I am a distributor for their essential oils.